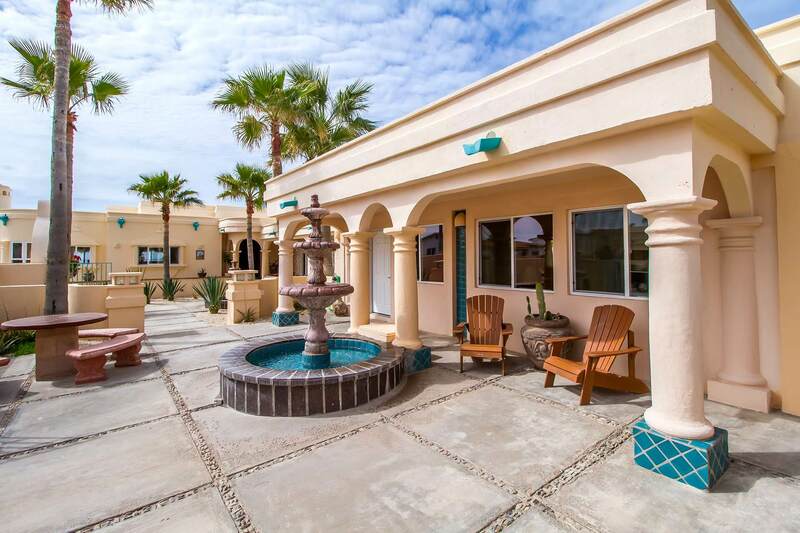 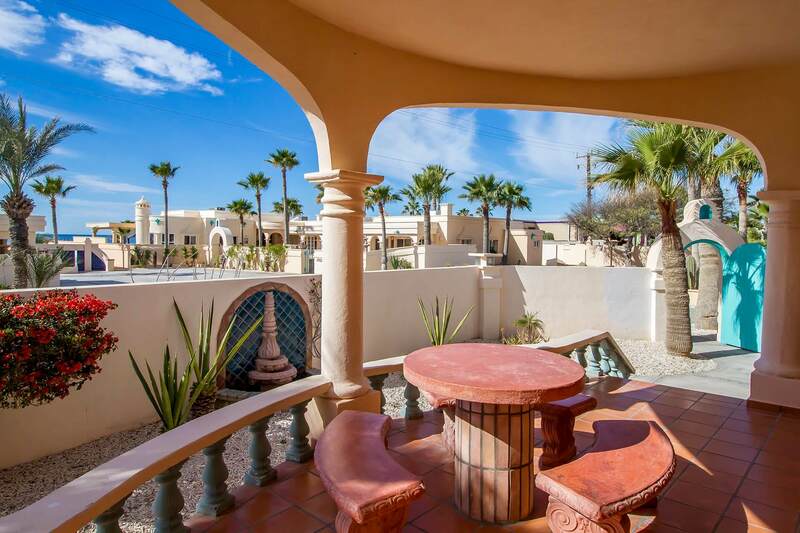 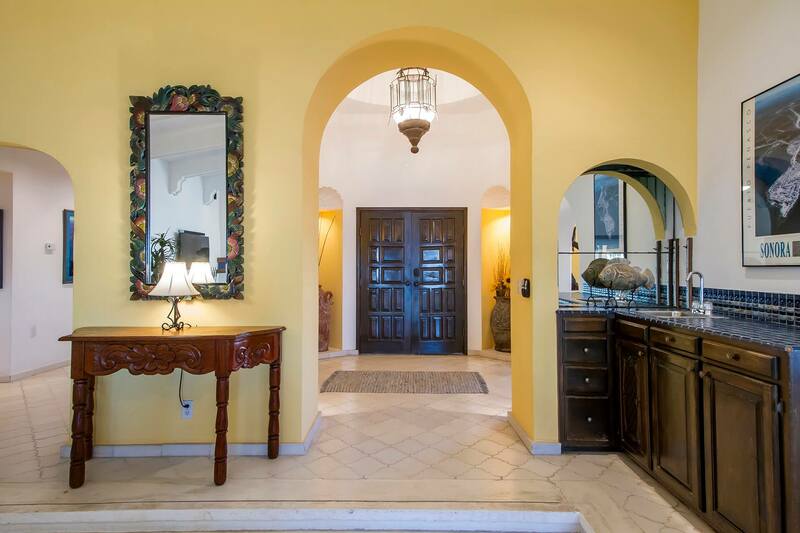 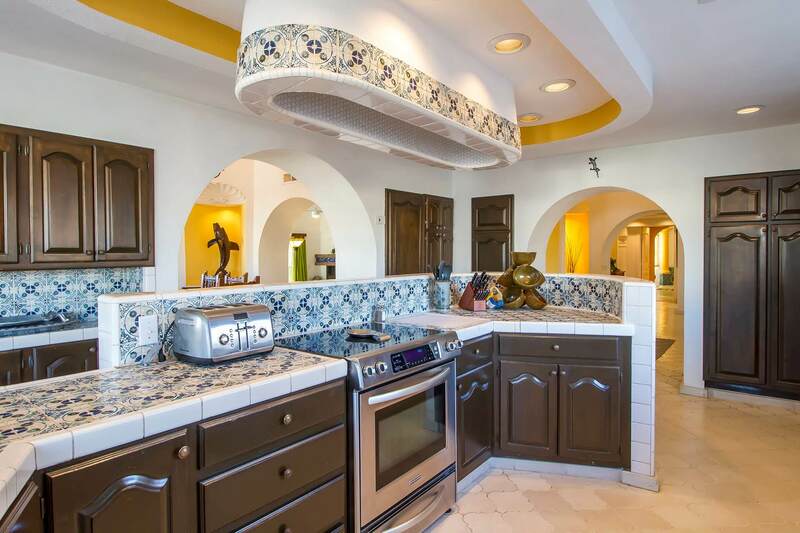 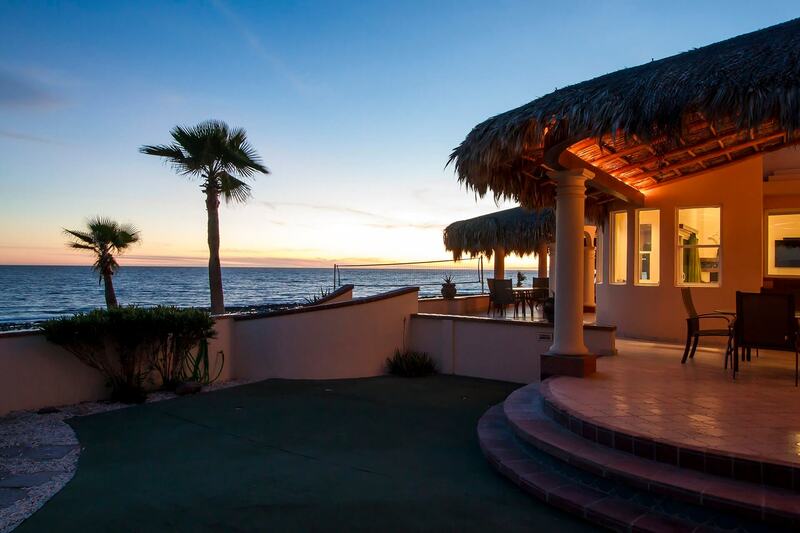 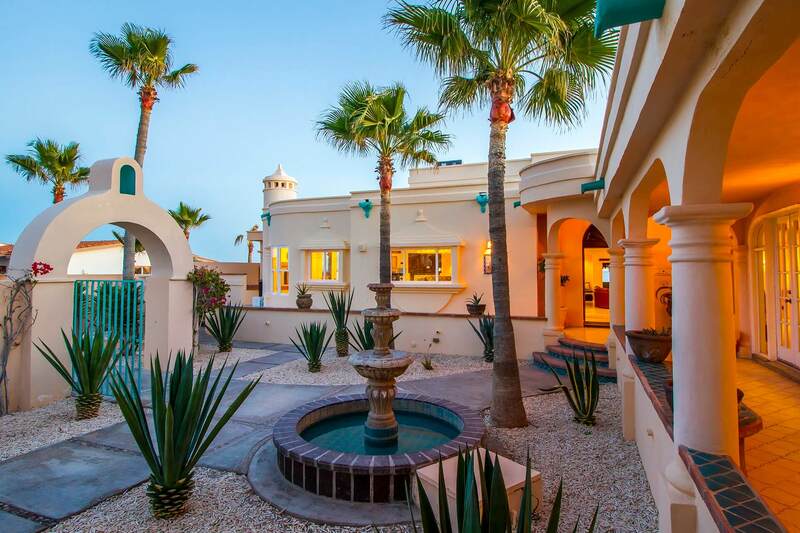 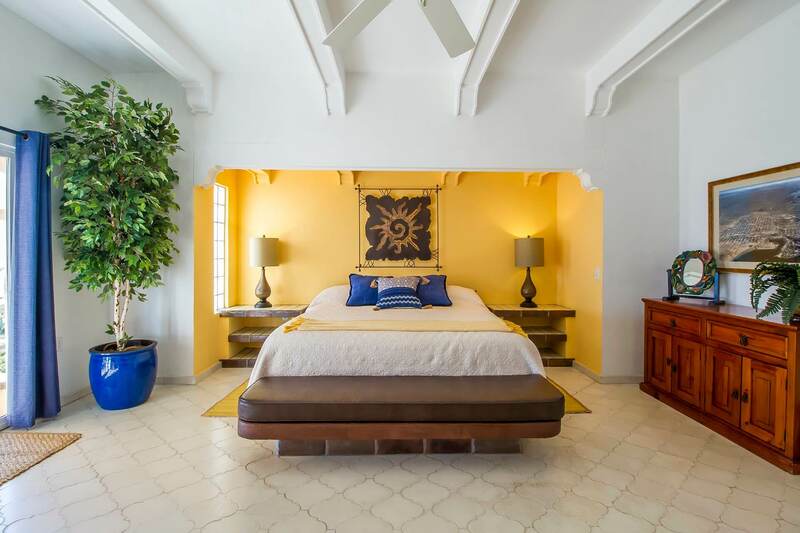 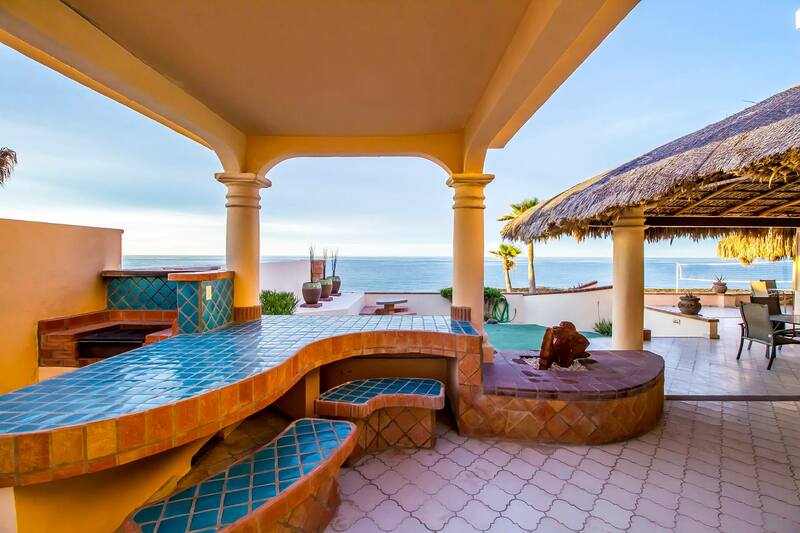 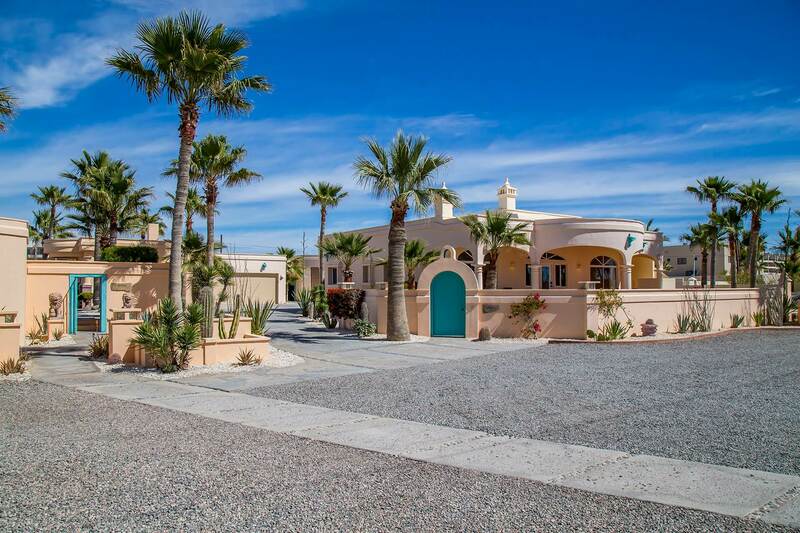 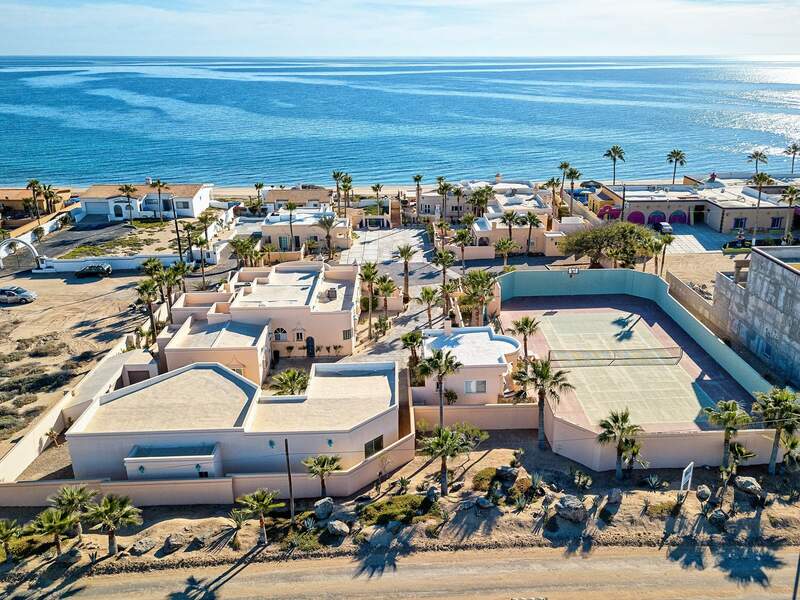 The La Paloma del Mar Beachfront Estate is situated along the beautiful Sea of Cortez in Rocky Point, Mexico. 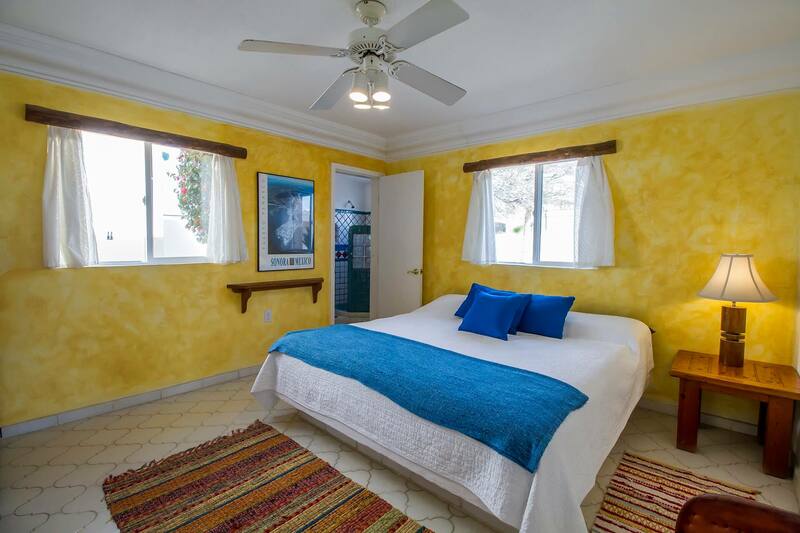 The estate includes 2 main houses and 4 guest homes, accommodating groups of up to 39 guests. 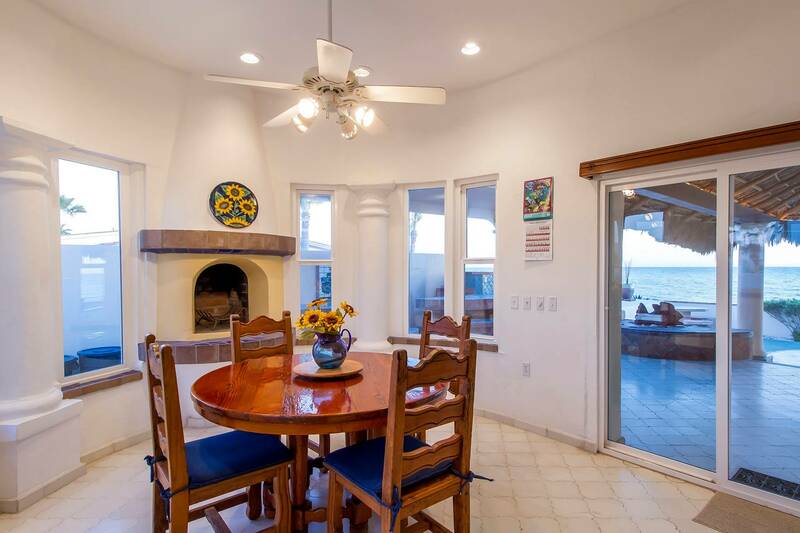 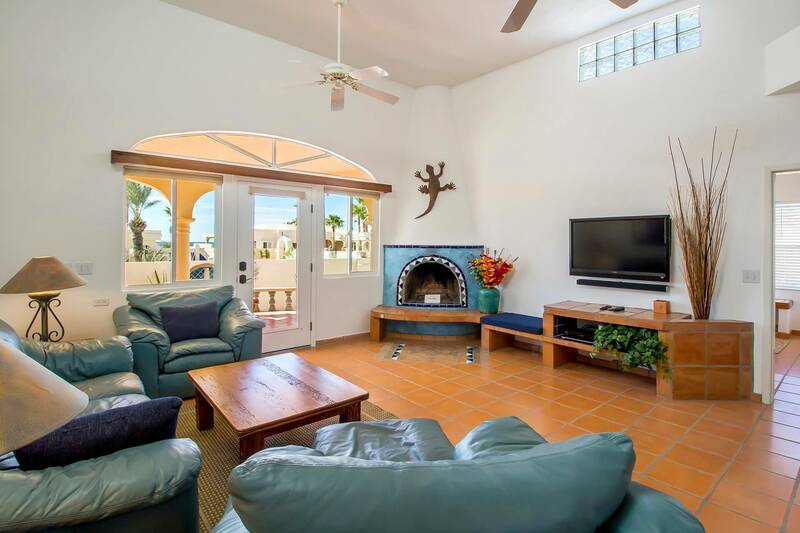 The property is located in the guard-gated residential community of Las Conchas, providing a tranquil beachfront vacation rental just 1-2 miles to the heart of town. 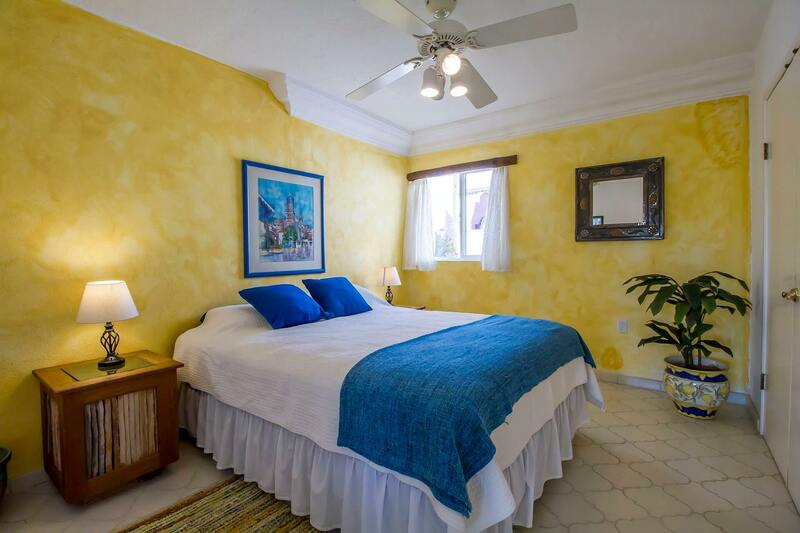 offering 4 spacious bedrooms and 4 bathrooms for up to 10 guests. 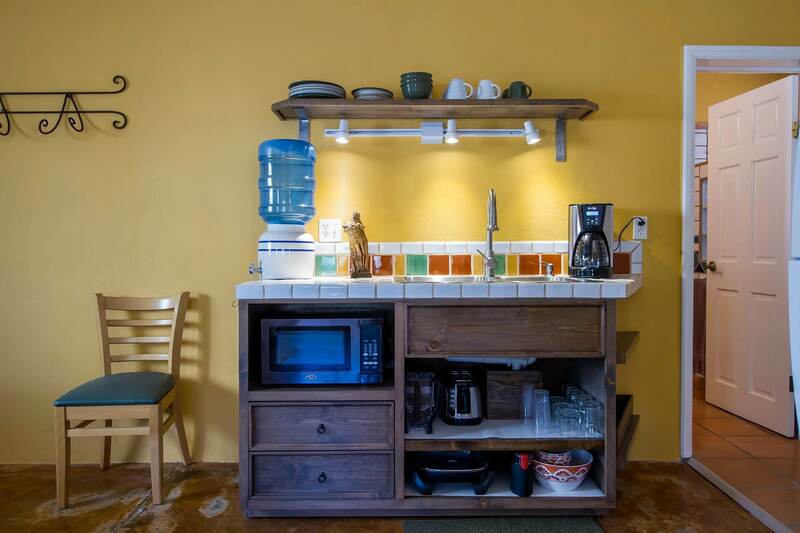 accommodating up to 10 guests. 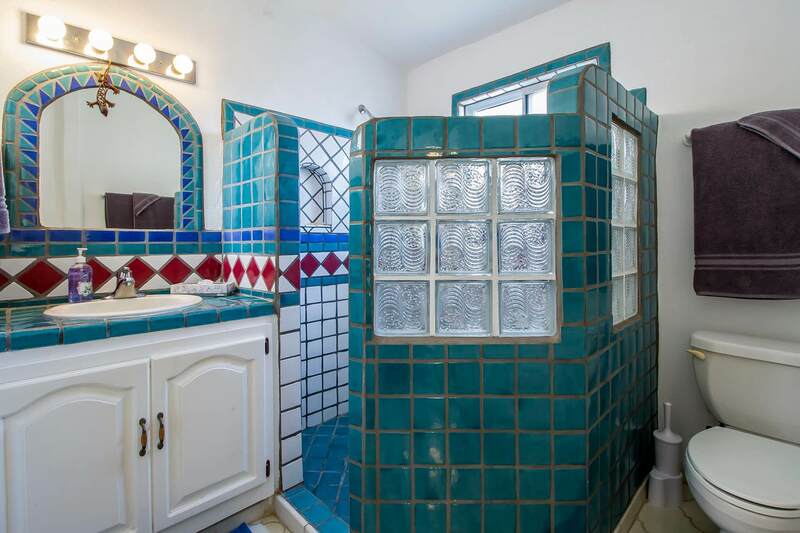 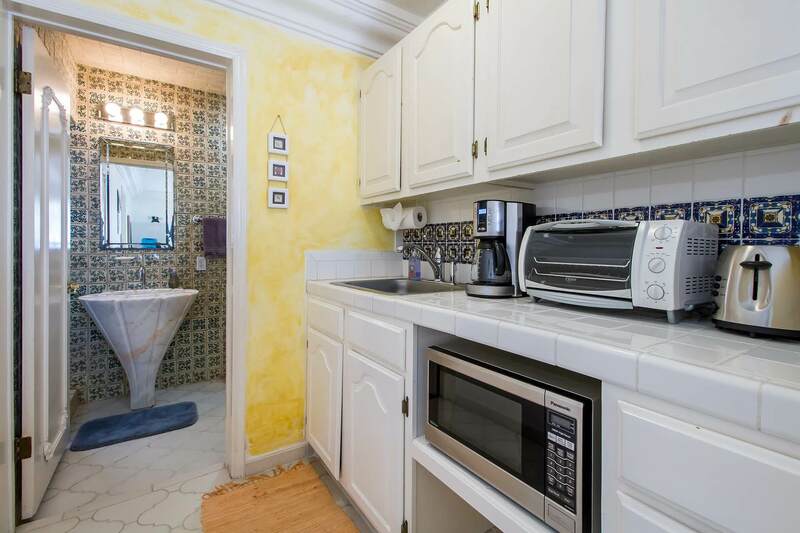 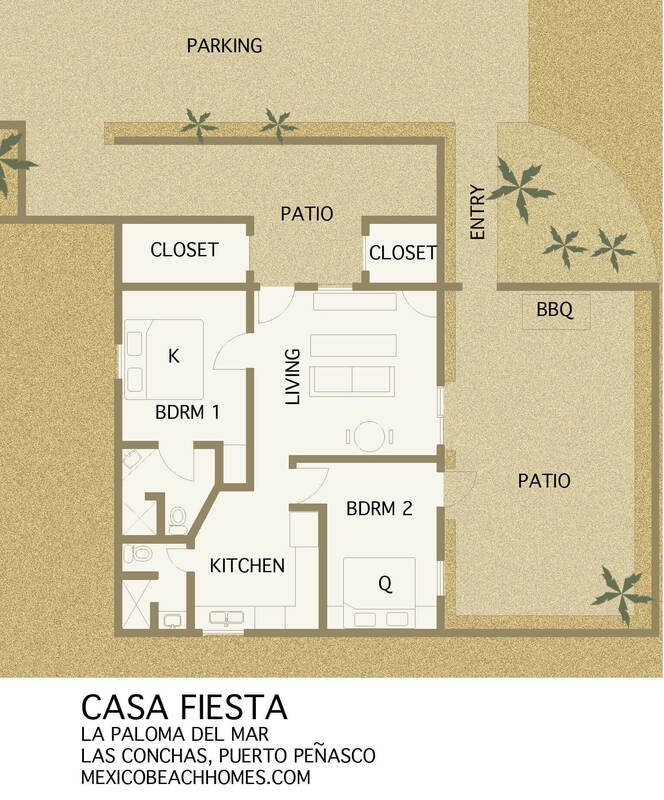 with 2 bedrooms and 2 bathrooms. 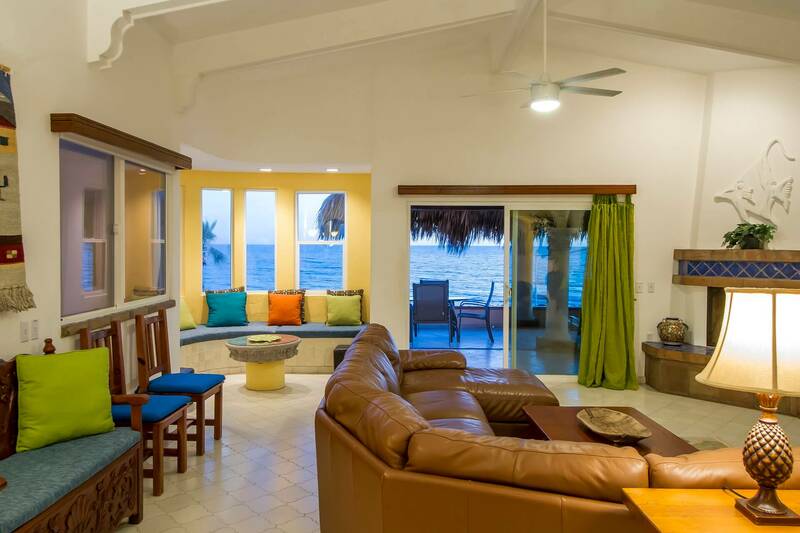 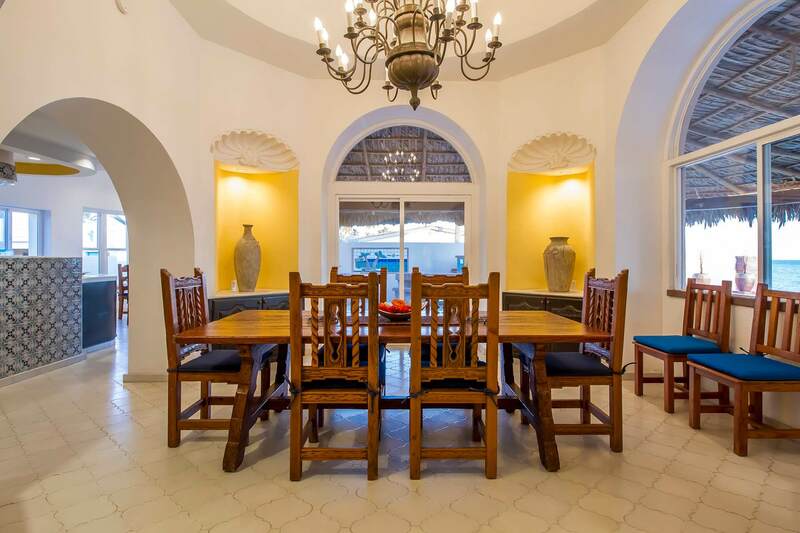 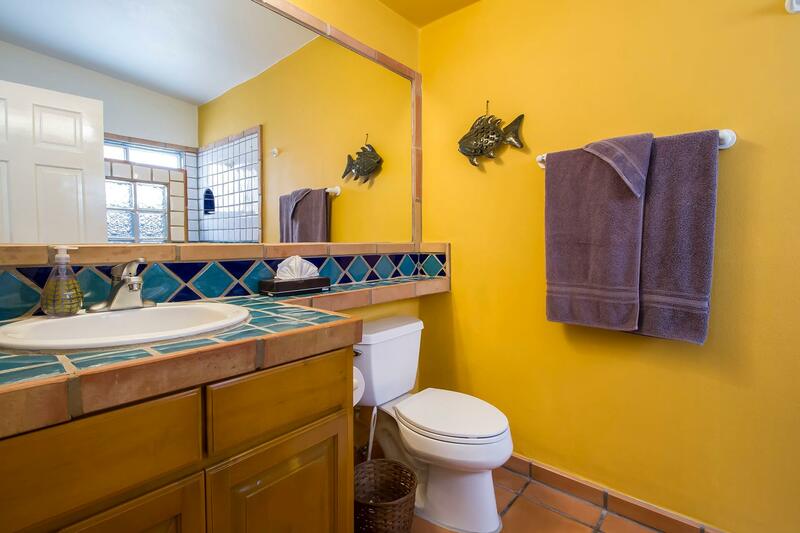 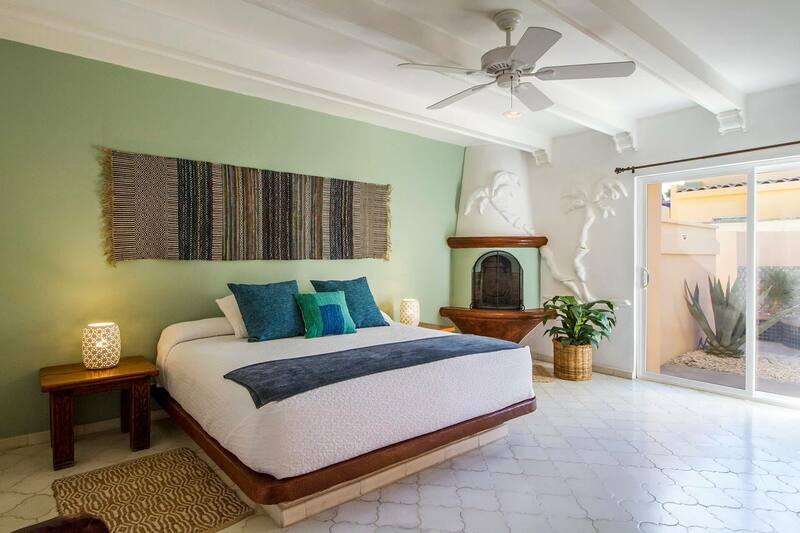 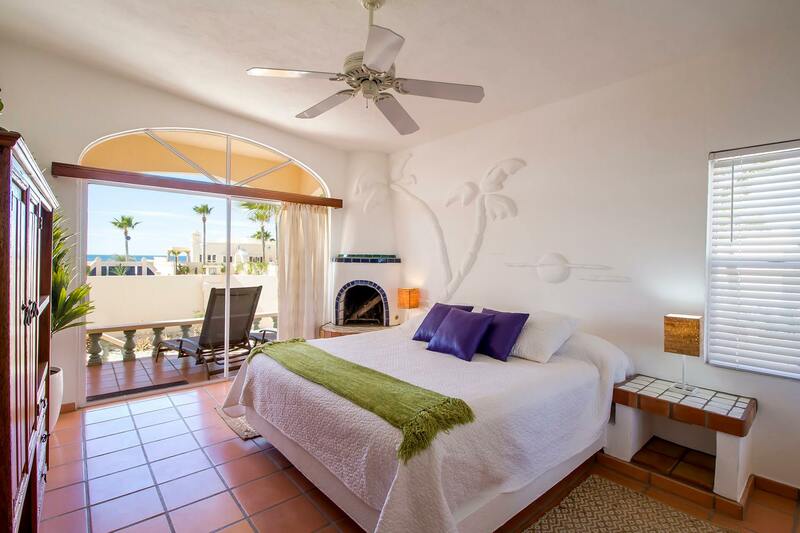 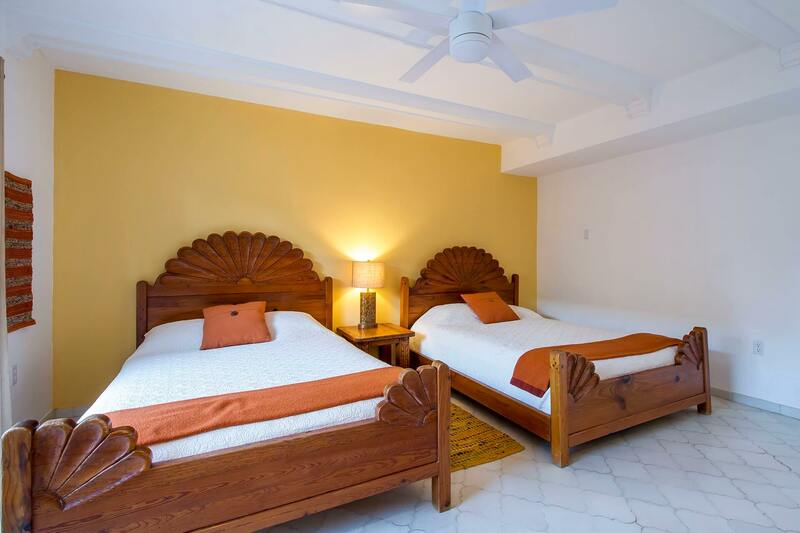 Casa Fiesta is a free standing guest house just 30 steps to the beach, with 2 bedrooms and 2 bathrooms. 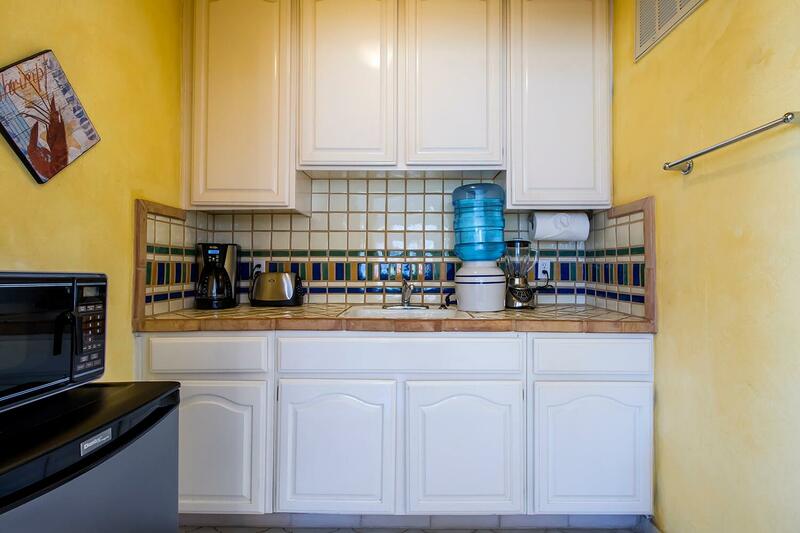 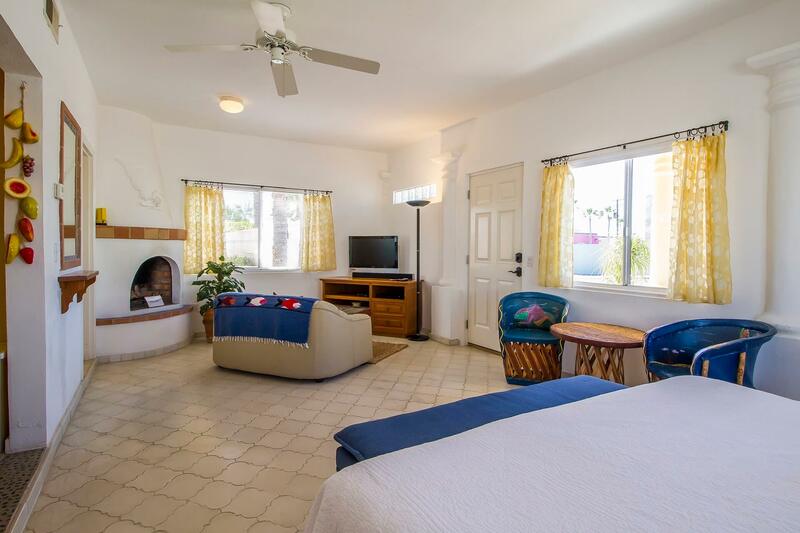 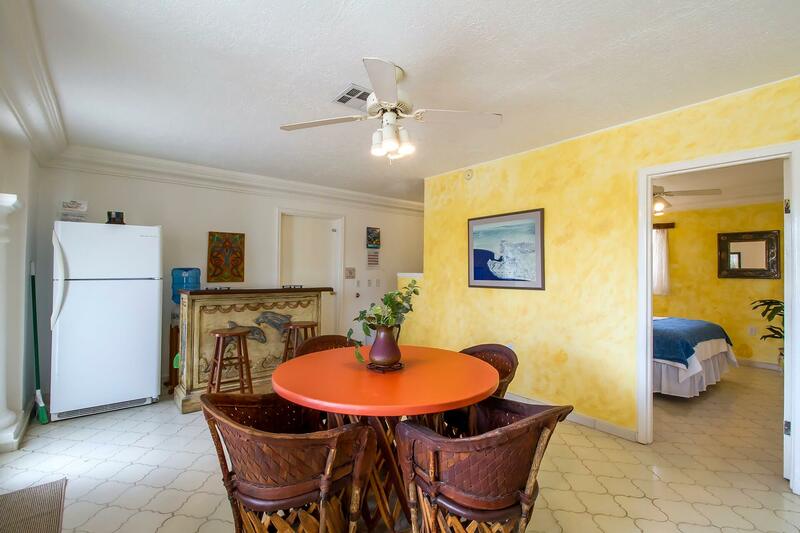 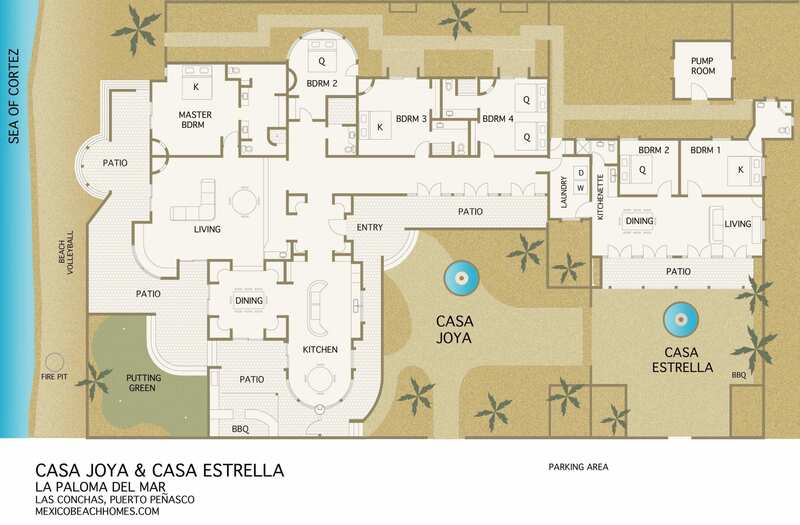 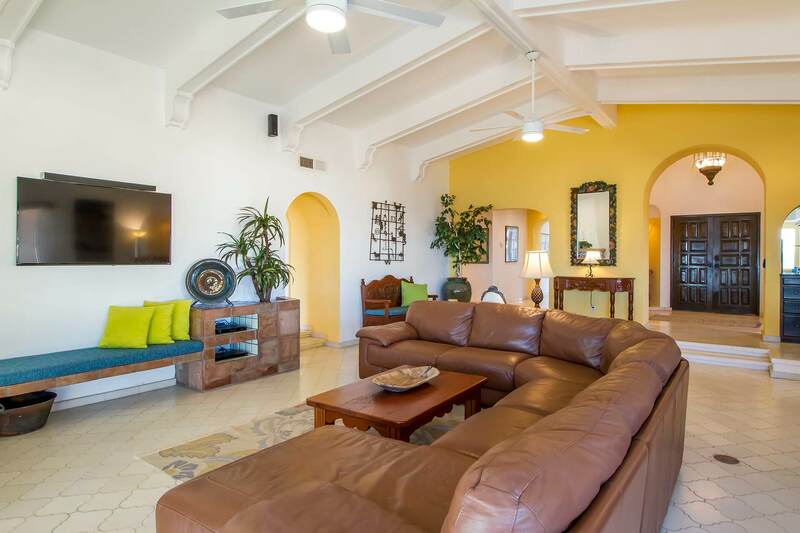 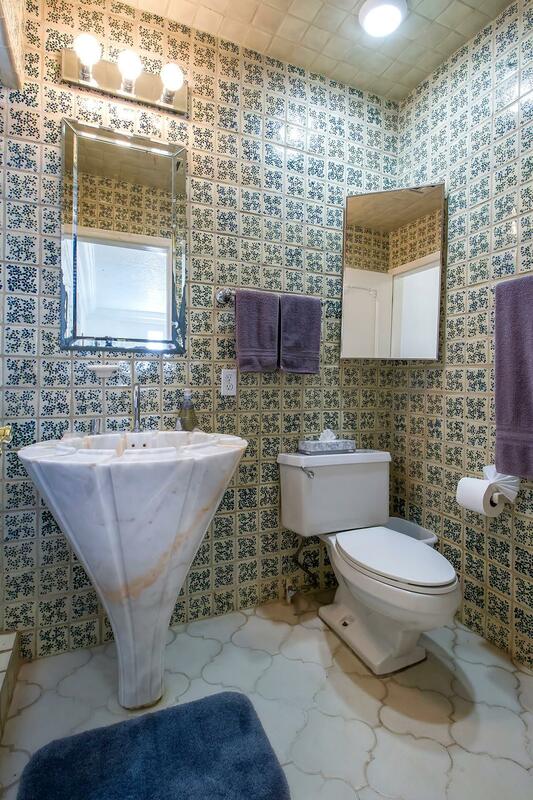 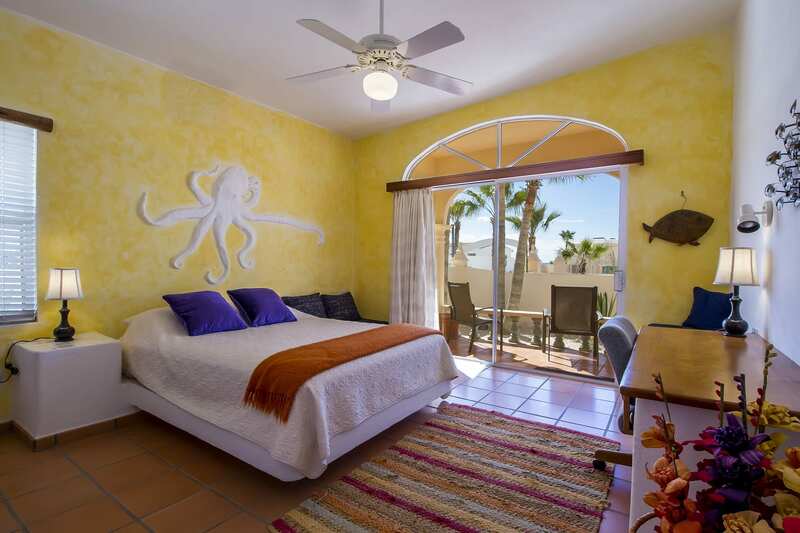 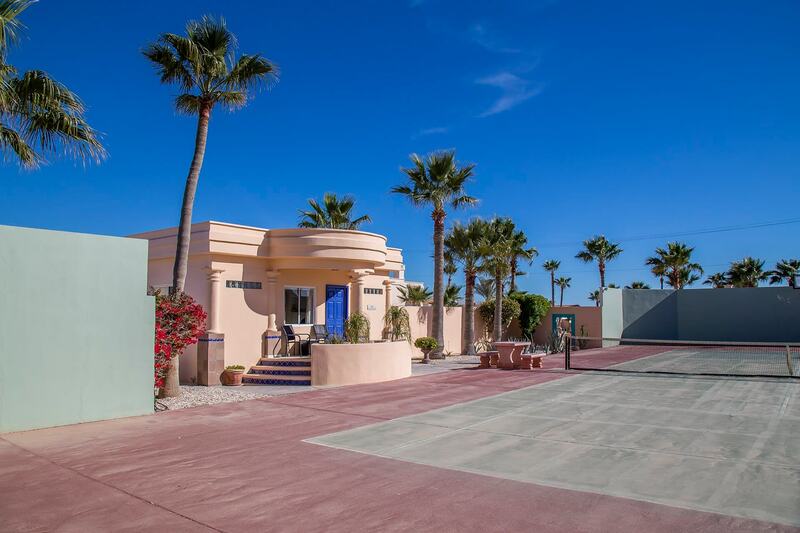 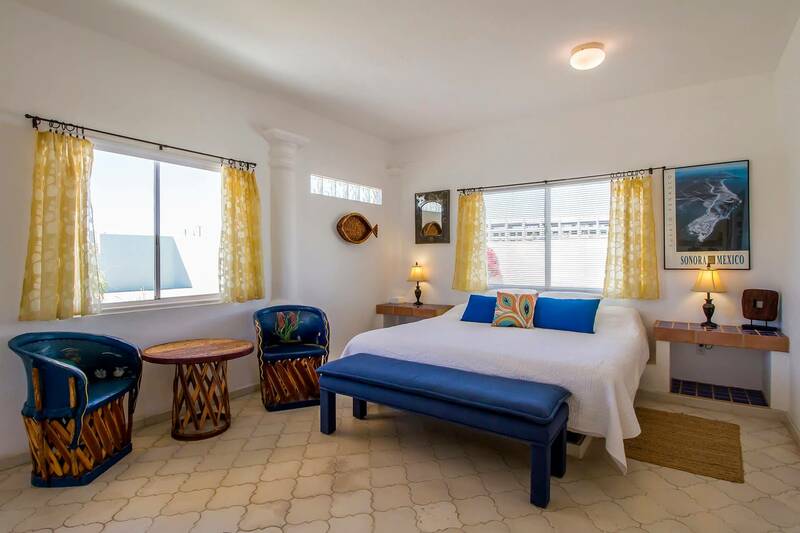 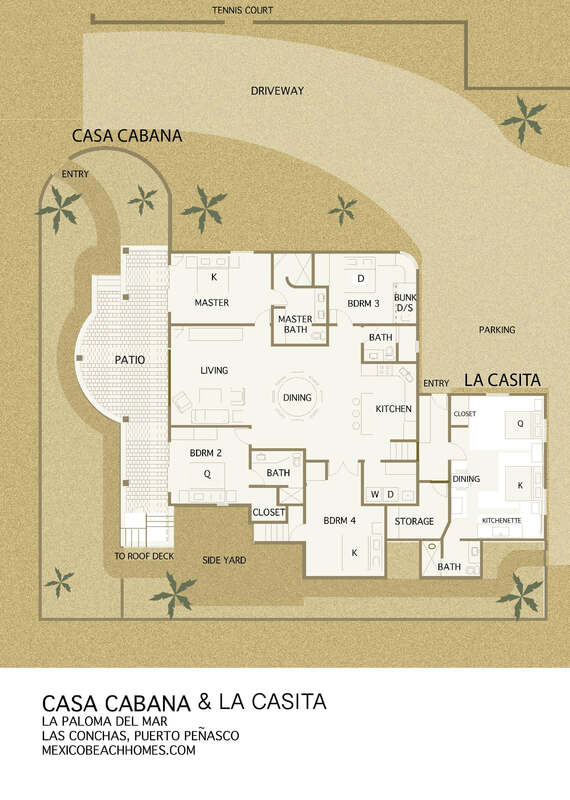 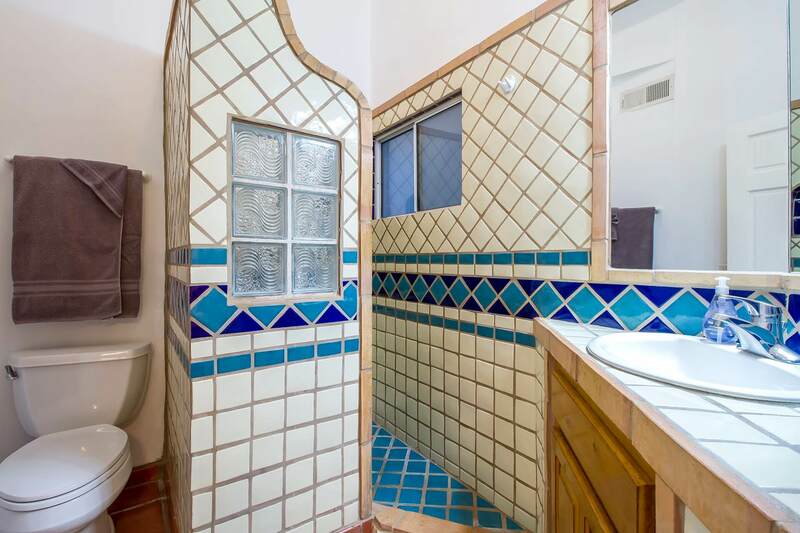 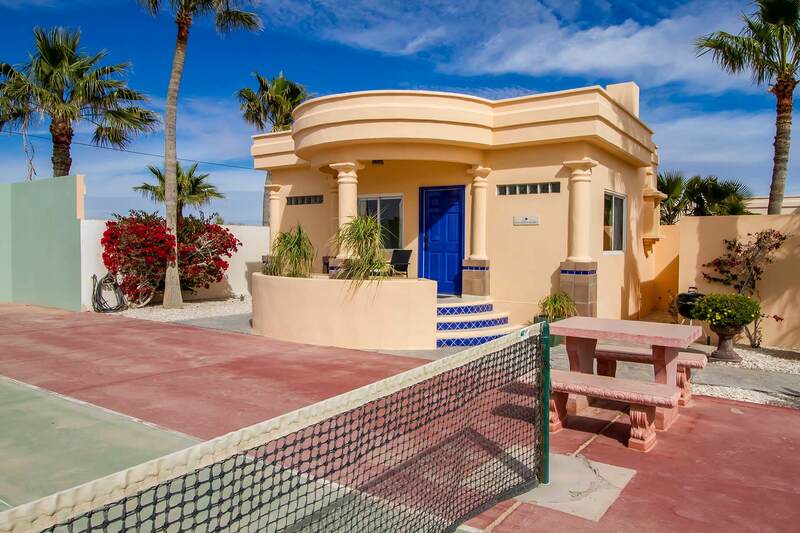 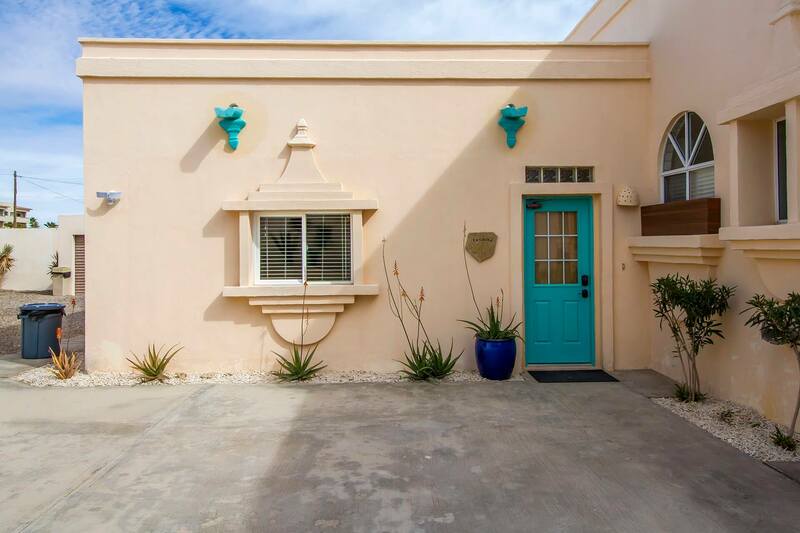 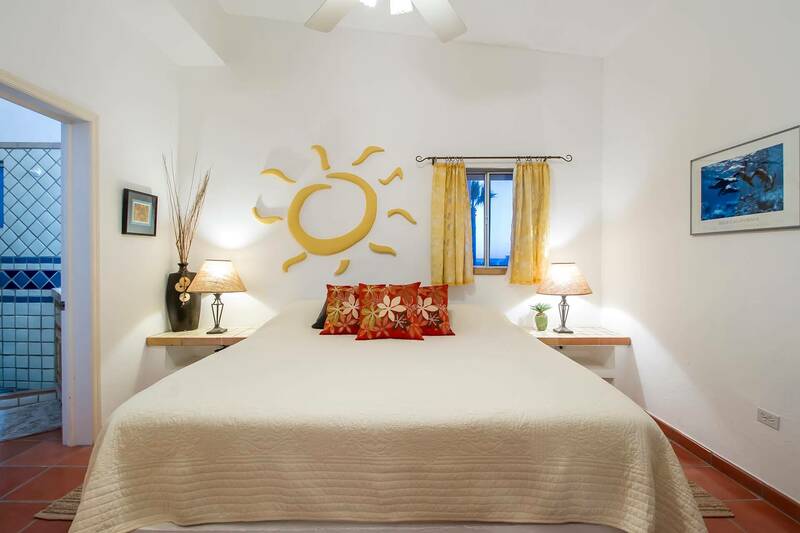 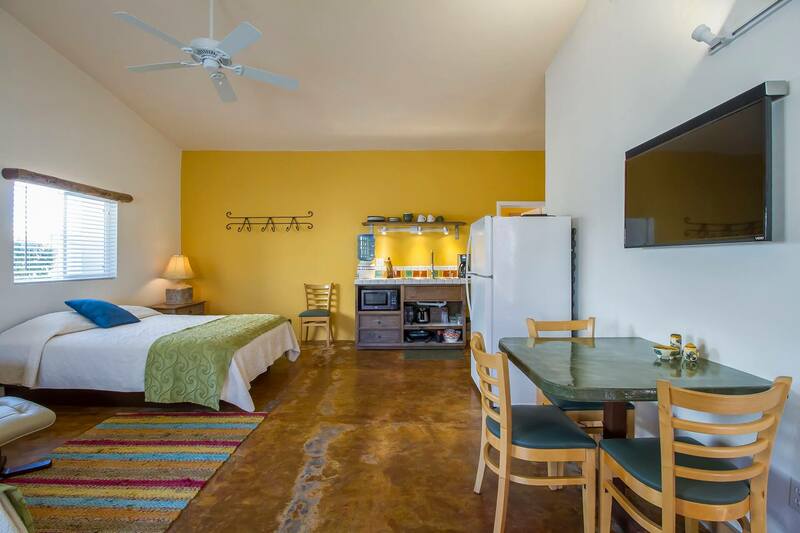 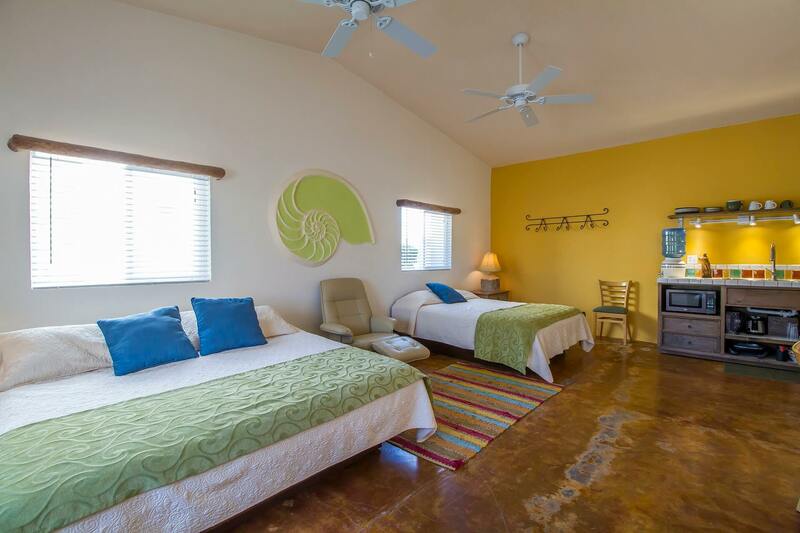 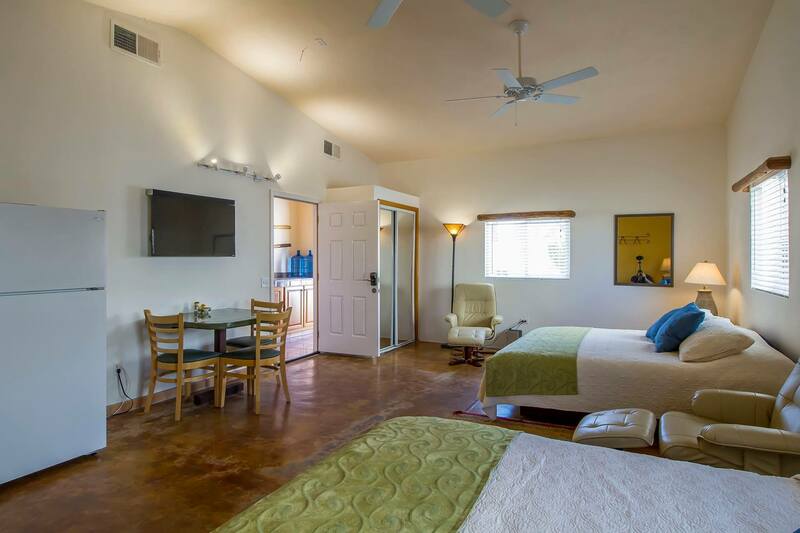 Casa Buena Vida is a studio unit with 1 bathroom, overlooking our private tennis/basketball court. 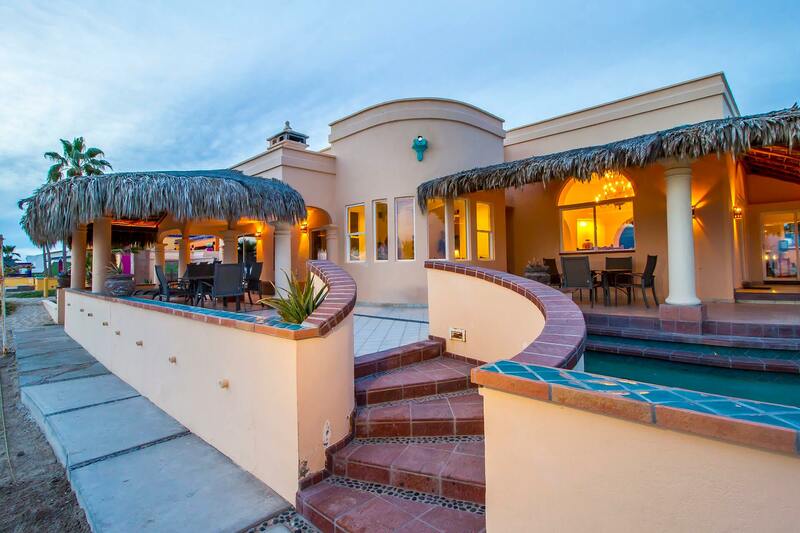 This home is also just 85 steps to the beach. 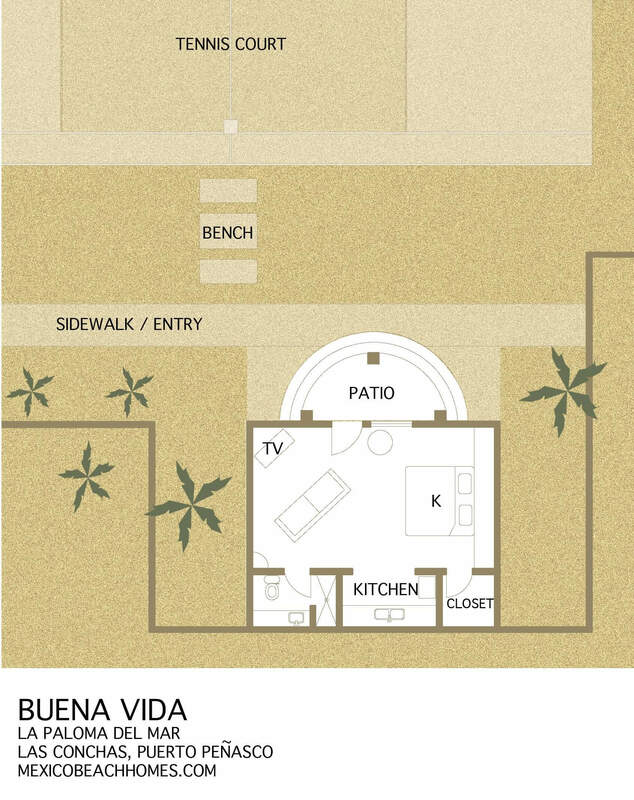 to create a 5 bedroom vacation home. 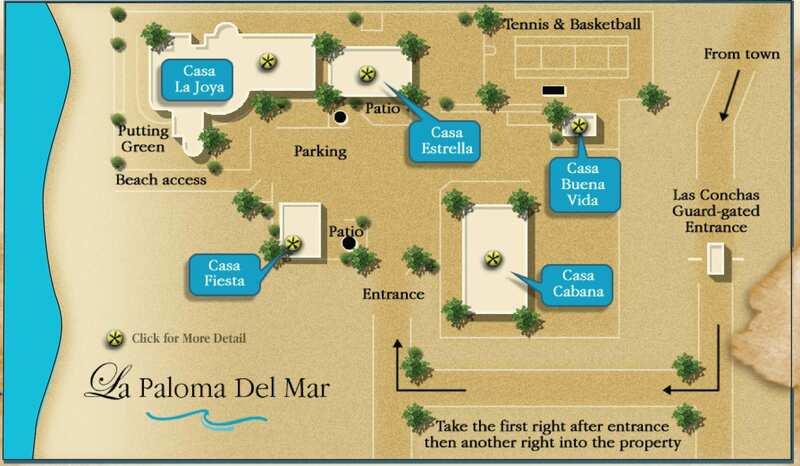 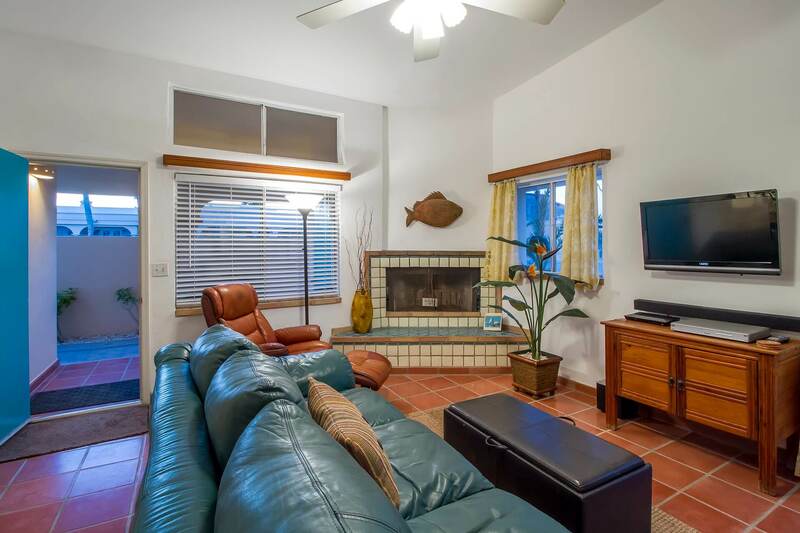 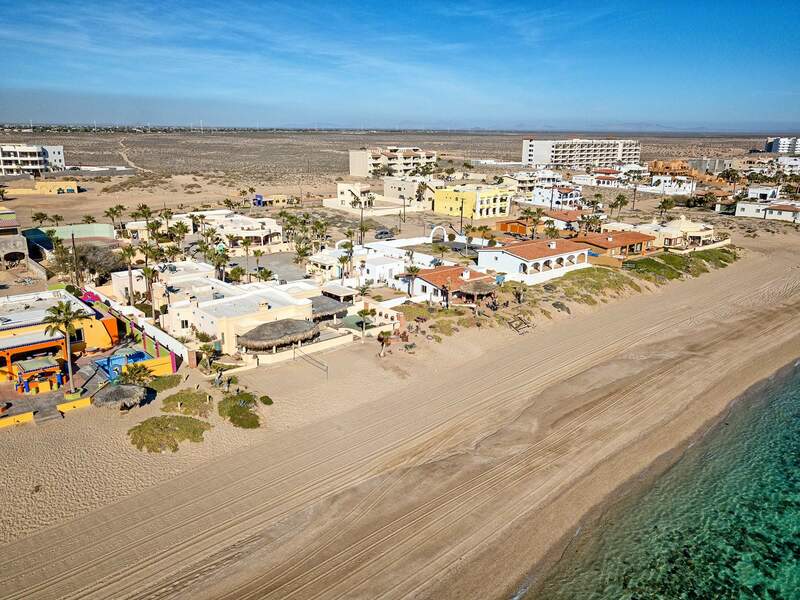 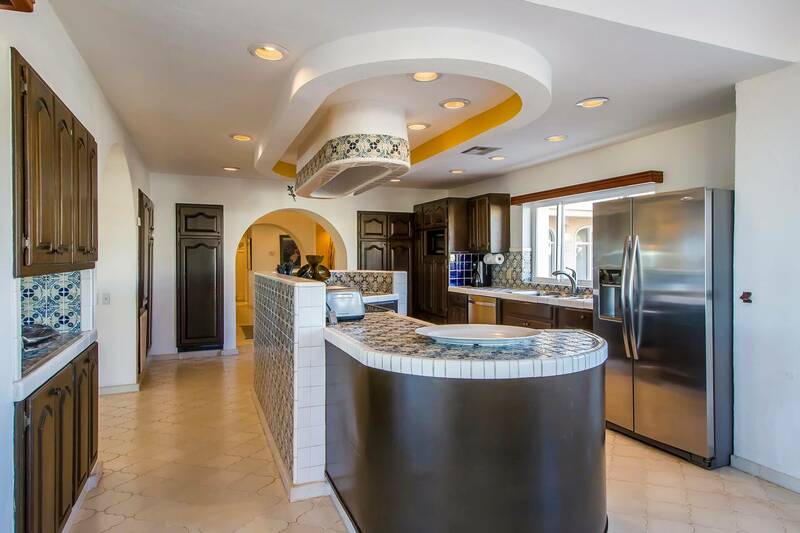 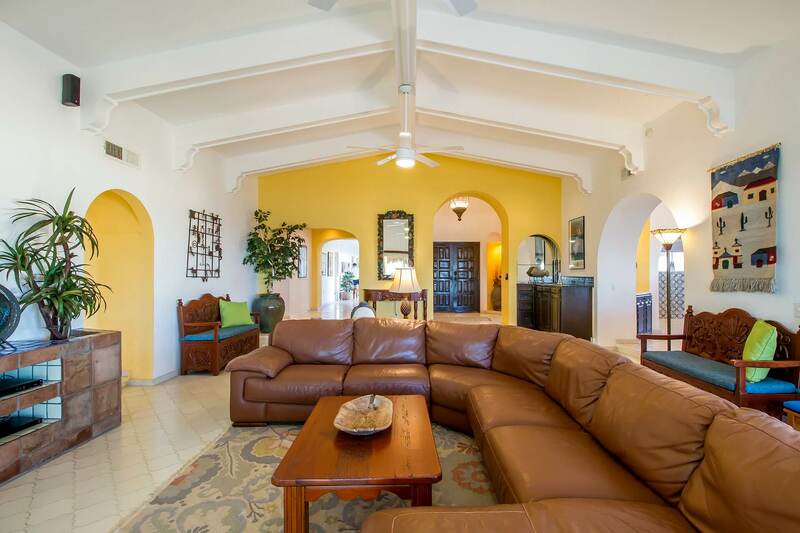 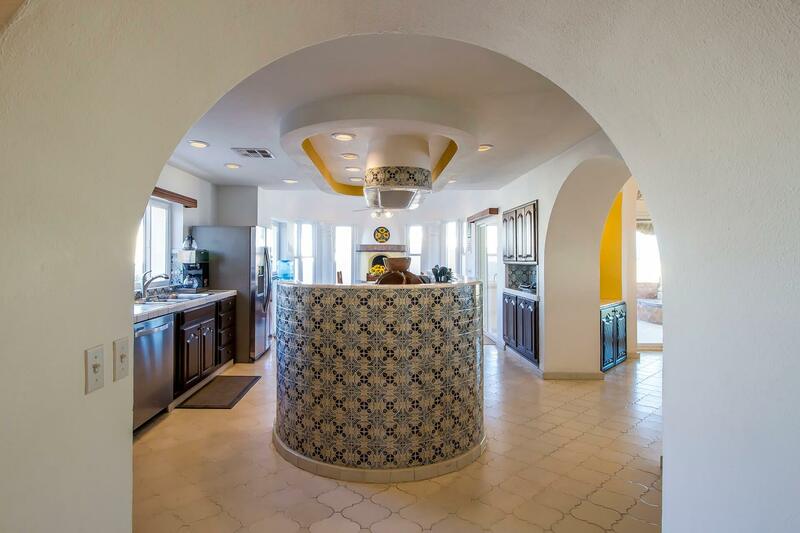 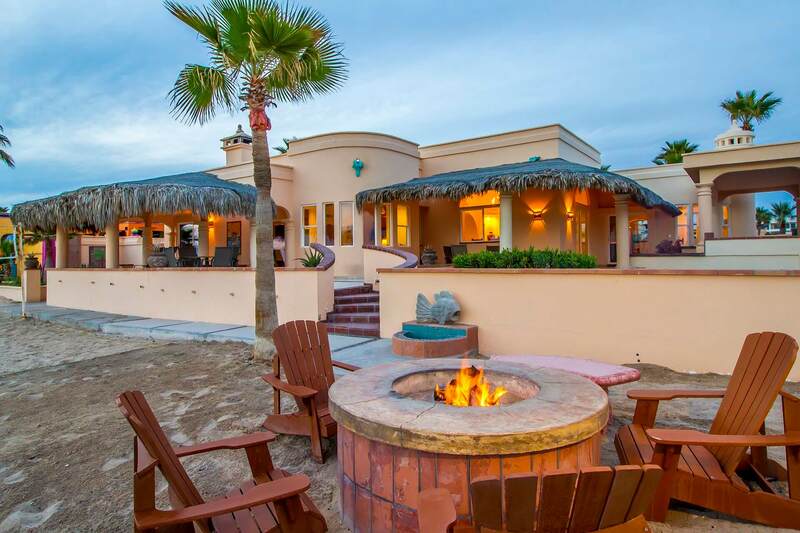 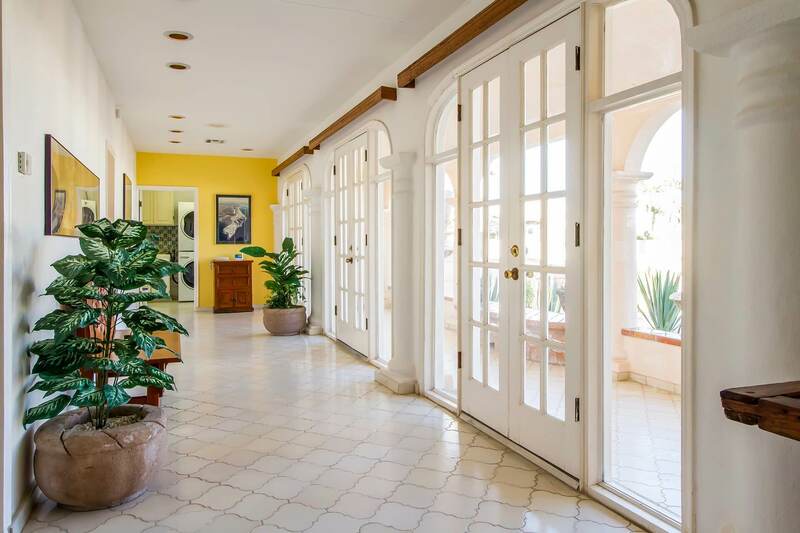 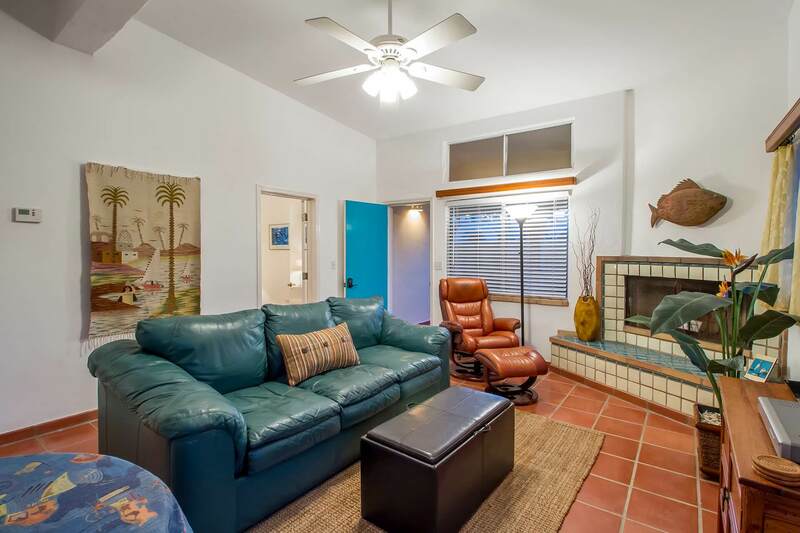 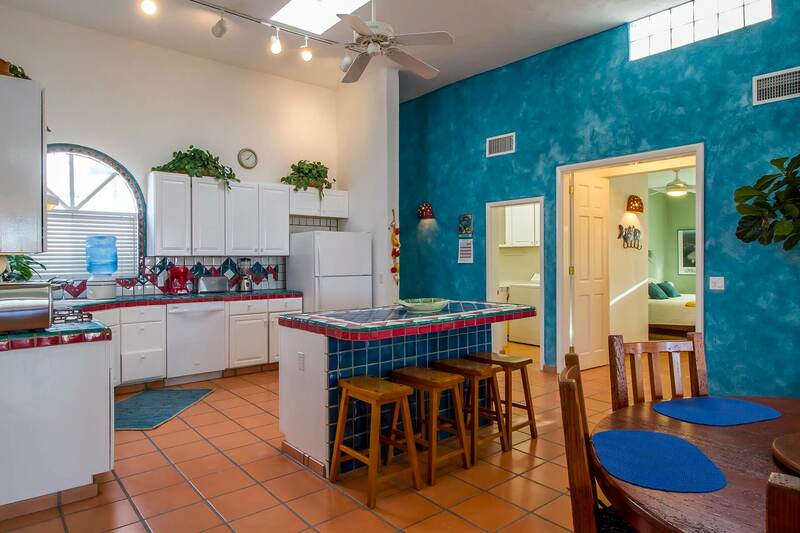 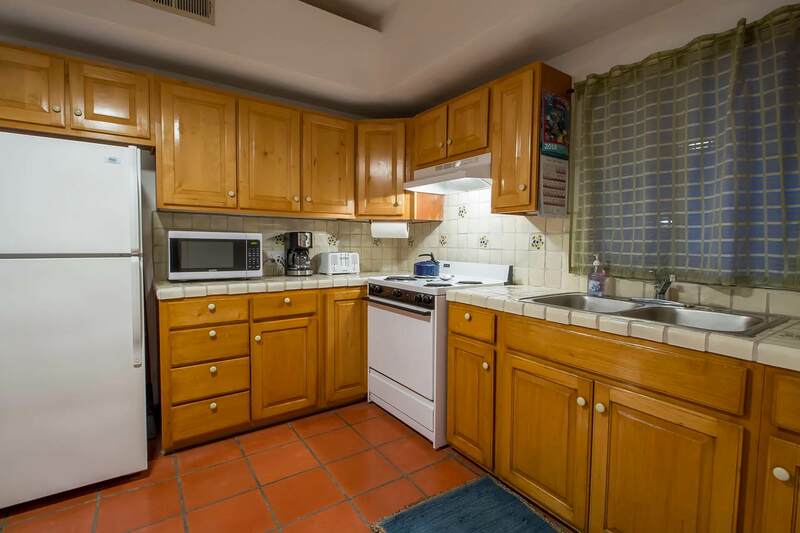 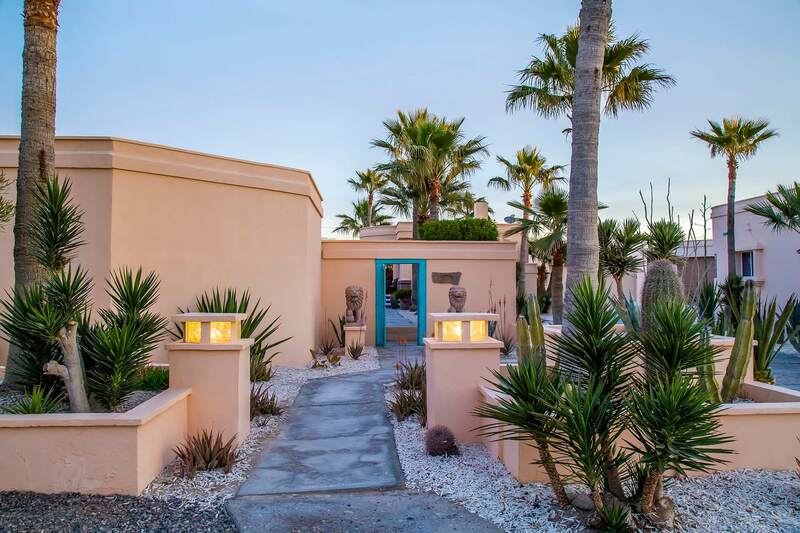 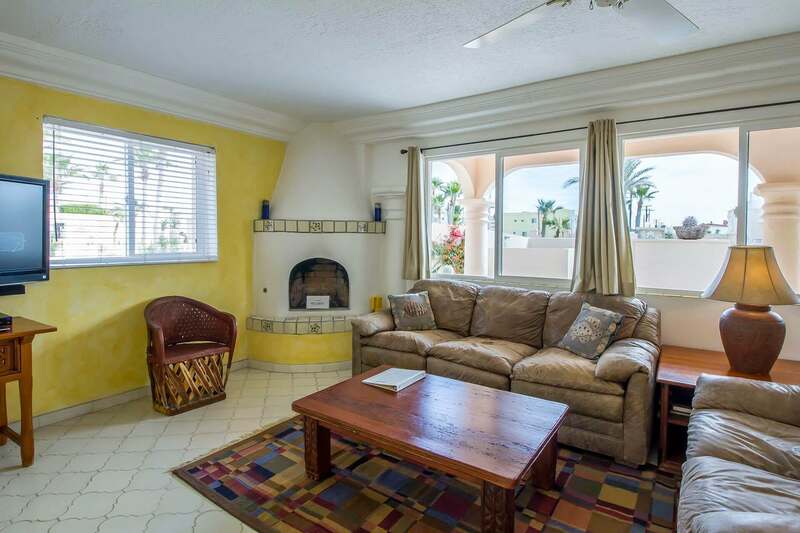 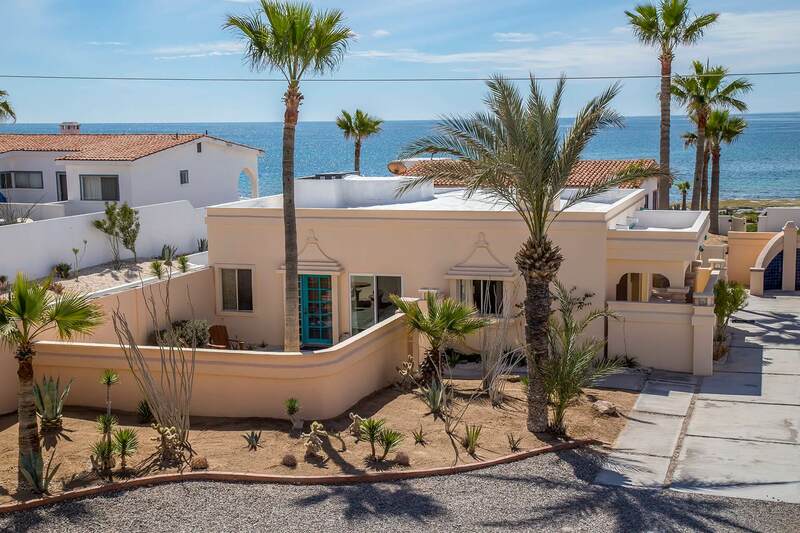 Interested in renting La Paloma del Mar?